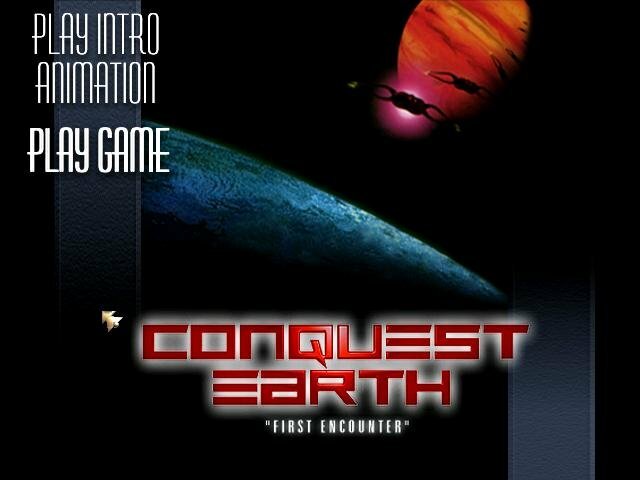 Conquest Earth has a lot in the way of little moving parts, but is something of a mess when viewed as a whole. 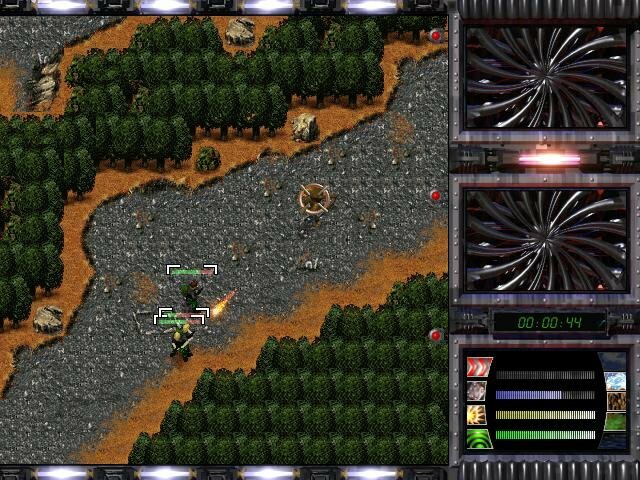 It’s aliens from Jupiter against the Earth in battles over sixteen types of terrain, complete with detailed 2D graphics. 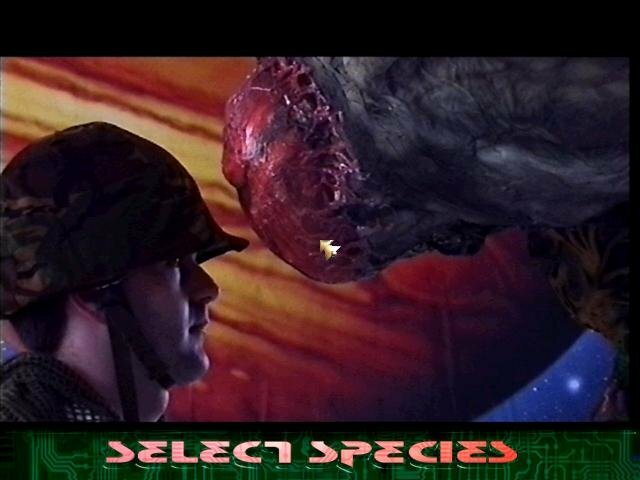 The look of the aliens pays homage to the War of Worlds, while the humans look like they were borrowed from Command & Conquer. 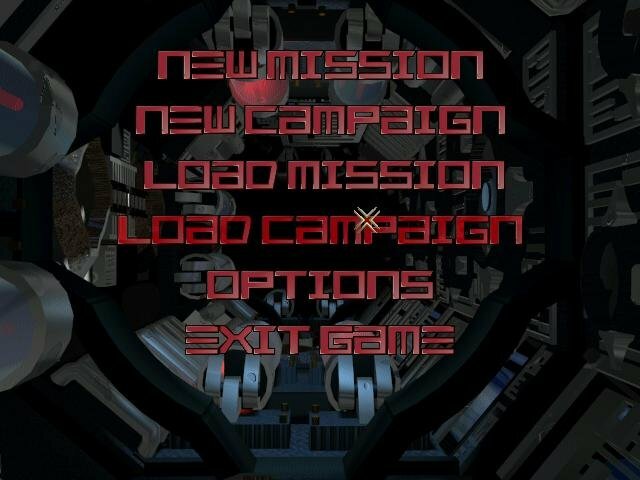 Missions go through 30 levels of increasing difficulty, and Campaign mode, a much more in-depth game allowing the player control over where they battle on the globe, what they research and where they construct bases. 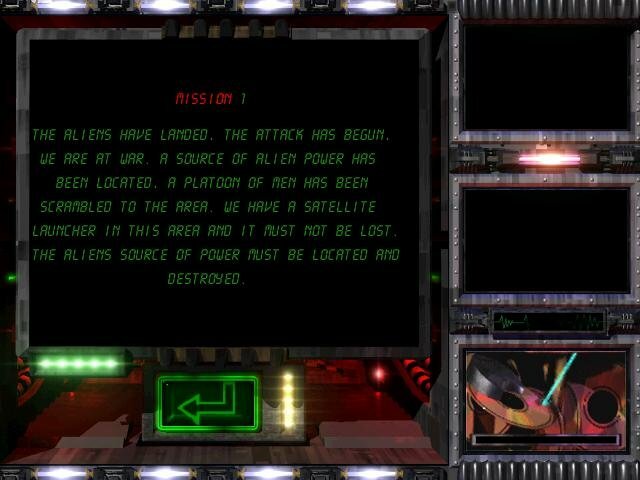 The mission mode is more simplistic than the typical C&C clone, as it’s mainly centered around building enough troops with the given resources to destroy the enemy’s power generator. The Campaign mode can be too unforgiving as the enemy is more than a little aggressive. Even the mission mode can be difficult, though mostly cuz of the flaky AI. 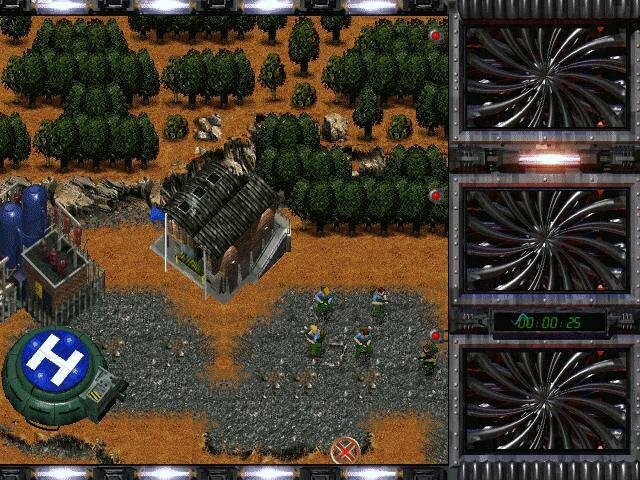 By now, questionable unit intelligence in real-time games has become something of a regrettable given, but when one sees one’s own troops blowing up their own buildings instead of the enemy, there’s something very wrong going on. At times, troops just about trip over each other and move in pathetic little circles trying to figure out a way around each other when directed to move, though a waypoint command helps for lengthier troop movement. 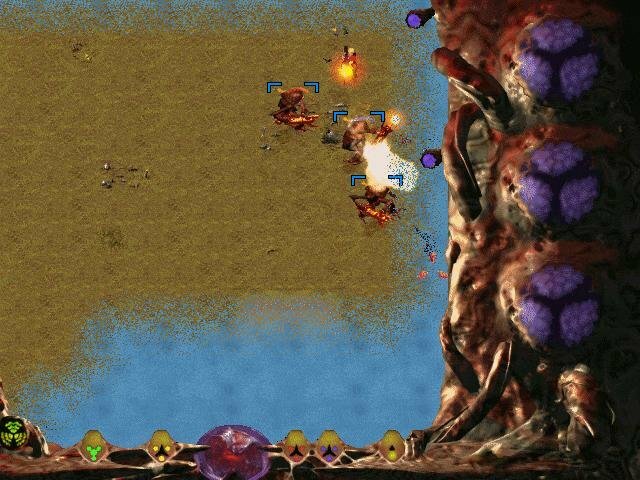 And when attacking, more often than not they simply don’t fire fast or early enough to prevent themselves from being slaughtered; usually the player must directly control their squad’s fire spread when in a large battle. When “hunting,” the troops do take some initiative and use some sense. Conquest Earth lacks a mini-map feature as well, instead using a satellite (that, when launched, allows you to zoom in and out of the battleground) and communications devices that allows you to have two mini-windows monitoring units on the map. There is no traditional fog of war either; instead the two sides have what are essentially “fog generators” that pump out toxic smog that obscure parts of the map—an interesting element. 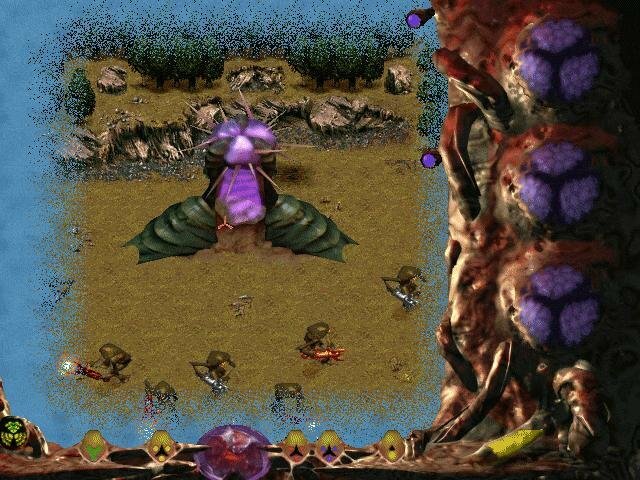 Still, the game has interesting strategies to employ in battle, and the battles themselves are where the real strength and fun of Conquest Earth lie. 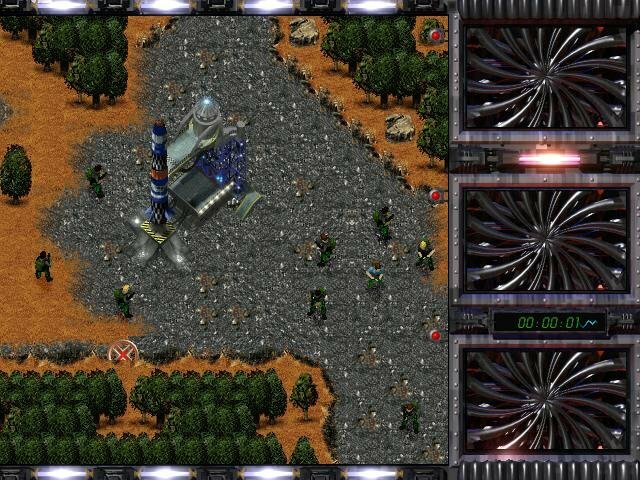 The hands-on almost arcade-like control can be a lot of fast-paced fun and the general detail of the graphics make blowing up the enemy fun. 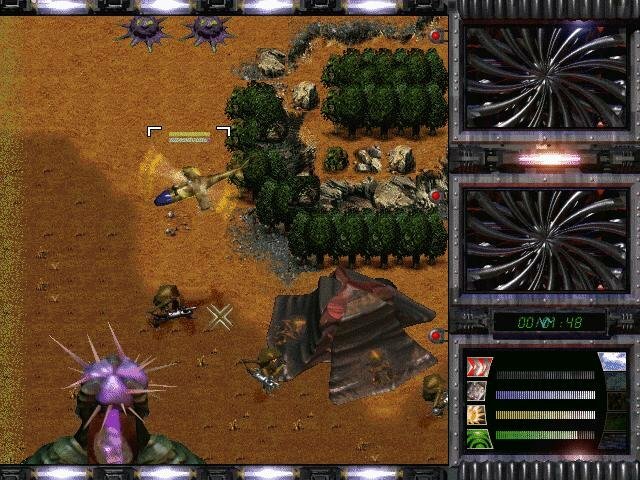 In spite of the myriad of interface quirks and AI faults, Conquest Earth does work as it should – most of the time – but otherwise the gameplay does not do enough to distinguish itself fully from the army of similar C&C doppelgangers.